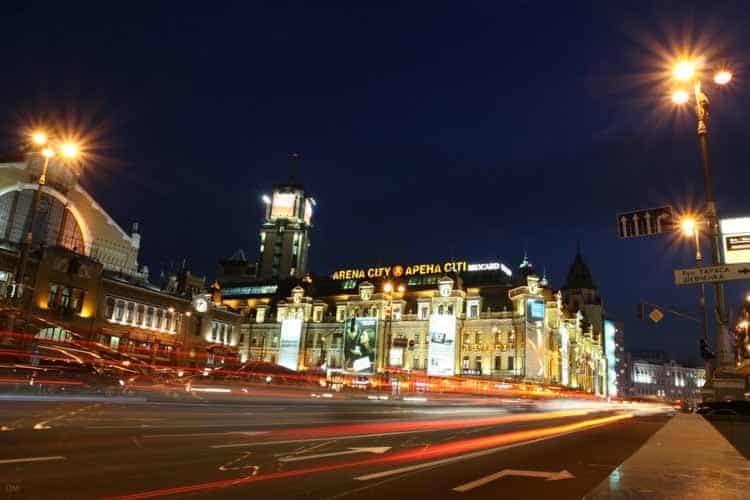 Measuring around 1.5 km in length, Khreshchatyk is Kiev’s most famous and well-trodden street. During World War II the retreating Soviet Army mined most of it as a welcoming present for the advancing Nazis. It was gratefully accepted, resulting in complete destruction of most of the existing buildings. When the war ended, the street was rebuilt with imposing Stalinist style buildings that still dominate the area today. Khreshchatyk really comes to life at weekends and on public holidays, when the busy road is closed to traffic and becomes the home of street performers and musicians. The focal point of Khreshchatyk and Kiev’s most popular meeting spot is Independence Square. Dominating the area is the Monument of Independence, a huge pillar erected in 2001 to celebrate 10 years of Ukrainian separation from Russia. Ironically, just a short distance away, the Friendship of the Nations monument celebrates the 1654 integration of the two countries. Map showing location of Khreshchatyk. The street is now more or less back to normal after all the recent events, although there are obviously signs of what has happened such as memorials. The street performers are back and people are now relaxing and having a pleasant time there. Taking a stroll along Khreschatyk is an excellent way to get a feel of the city. Get on the Metro and exit at Maidan Nezalezhnosti station (see our map section). Here you’ll see Independence Square, the Globus shopping centre and the Monument of Independence. Walk down Khreschatyk in a southerly direction and you’ll come to TsUM, a Soviet-age department store. 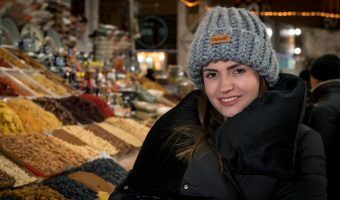 Continue walking to the southern end and pop into the Bessarabsky Market, a fascinating indoor market packed with colourful fruits and enticing produce, all arranged magnificently. 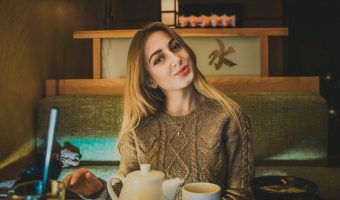 Review of Murakami on Khreshchatyk. Independence Square is the main square in the city centre. There’s usually something going on here at weekends. If it’s not a concert or free entertainment, you can bet there will a crowd of Ukrainians demonstrating against some injustice. Busy Metro station on Kiev’s main street. 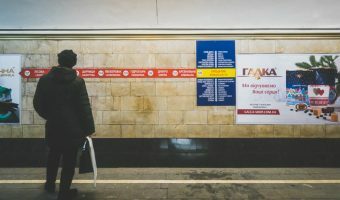 Guide to Maidan Nezalezhnosti Metro Station. This colourful market is situated right in the city centre. Prices are quite high but it’s easy to find. Contemporary art gallery in the city centre with plenty of interesting exhibitions. Free entry at all times.